According to the U.S. News, 80 percent of all New Year’s resolutions fall flat by February. Why? Because people make resolutions without creating a plan of action to achieve their goals. At Sola, it’s our mission to help you succeed by giving you the support and tools you need to turn your resolutions into realities. So this year, don’t just think about what you want to accomplish, let Sola help you create a plan to get there! 1. Create a Brand and Culture That Reflects You: One of the best parts of being in a salon studio is the opportunity to create a unique experience for your guests that reflects you as an individual and as a beauty professional. You have the power to create a vibe that will attract the tribe you want to work with. Click here to learn more about creating your unique salon culture. 2. Travel Somewhere New: Do you dream of dipping your toes in the Pacific Ocean? How about visiting the Musicians Hall of Fame? 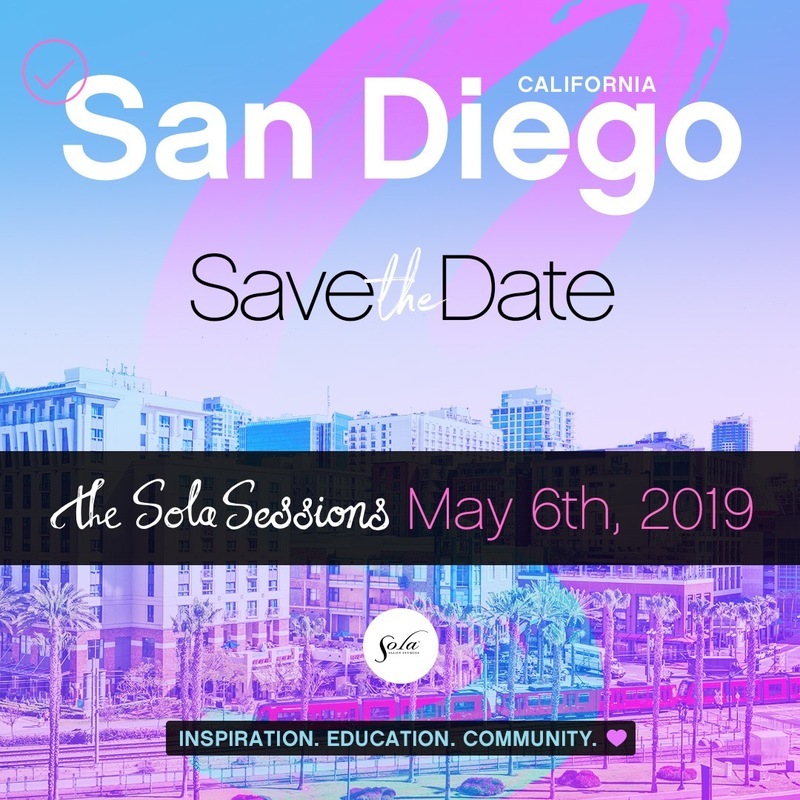 Join us for the 2019 Sola Sessions in San Diego, CA in the Spring or Nashville, TN in the Fall! Click here to learn more about the Sola Sessions. 3. 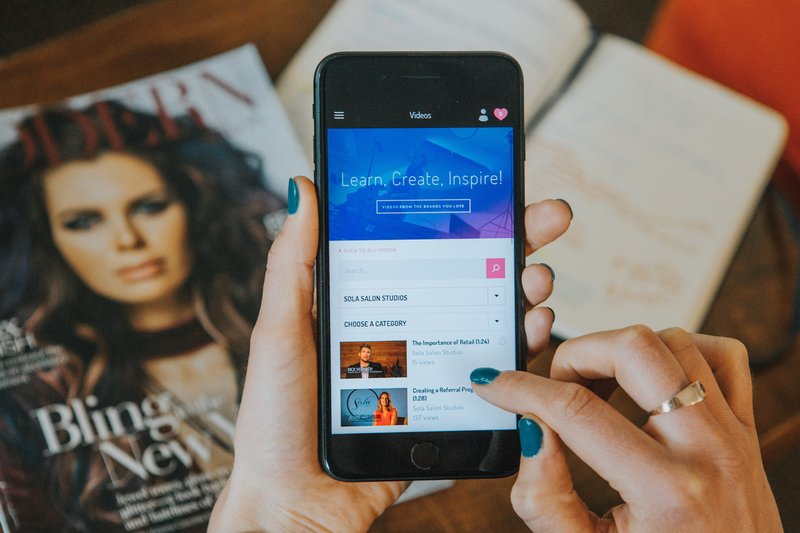 Learn Something New: Whether it’s marketing tips from the Sola blog, the latest styling techniques on Sola Pro or a webinar on How To Raise Your Prices, Sola is constantly providing exclusive education opportunities to help you keep learning and growing in and out of your salon. No matter your learning style, we’ve got you covered in person, online and in the palm of your hand. 4. Measure Your Success: Setting goals without the proper metrics in place to measure your success is the quickest way to fall flat. Watch the Understanding Your Sola Business recorded webinar on Sola Pro to get started! 5. Attract New Clients: As a salon owner, you have the power to create the clientele of your dreams. But when you're not a marketing specialist it can be hard to know where to start! The Sola Blog is chock-full of marketing tips to show you creative ways other Solapreneurs are marketing their business and growing their clientele. 6. Get Your Work Featured: When you’ve got it, flaunt it! Post your beautiful work on Instagram with the hashtag #SolaSalons so we can discover and feature you on Sola’s social media feeds. 7. 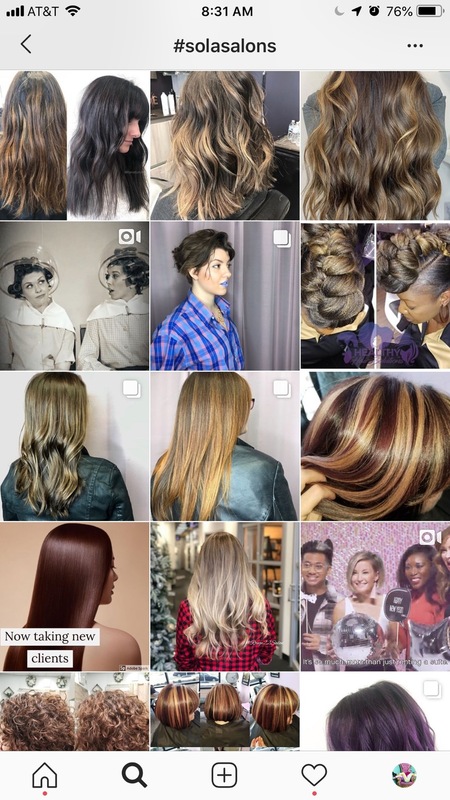 Connect With the Industry: Sola Pro is home to hundreds of industry brands, tutorial videos, exclusive deals and other ways to help you stay connected to the beauty industry. As a Sola community member, Sola Pro is completely free to use and can help elevate your skills and stay on top of industry trends. And did we mention the awesome, exclusive special offers from leading industry brands?! 8. Make Your Website Totally Rock: Did you know, as a Sola beauty professional, you get an SEO-optimized website on solasalons.com that’s yours to customize? Your website is your place to make your salon shine with a beautiful gallery, a stellar bio, social media links and your unique specialties and services. Update and edit your website in a snap on the Sola Pro app so potential new clients can learn more about you! Link to your SolaGenius site or online booking page and you’ll be booking new customers while you sleep. 9. 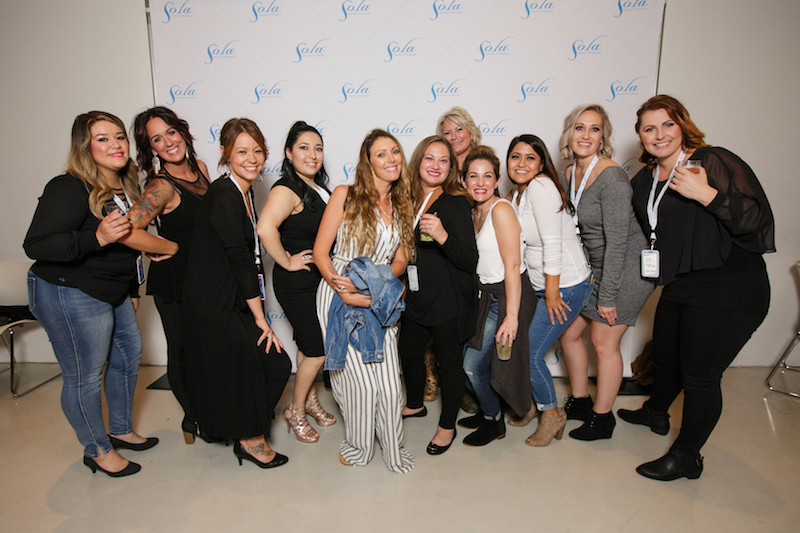 Connect With The Sola Community: As part of the largest community of independent beauty professionals, there’s so much you can learn from connecting with other successful boutique salon owners at Sola. 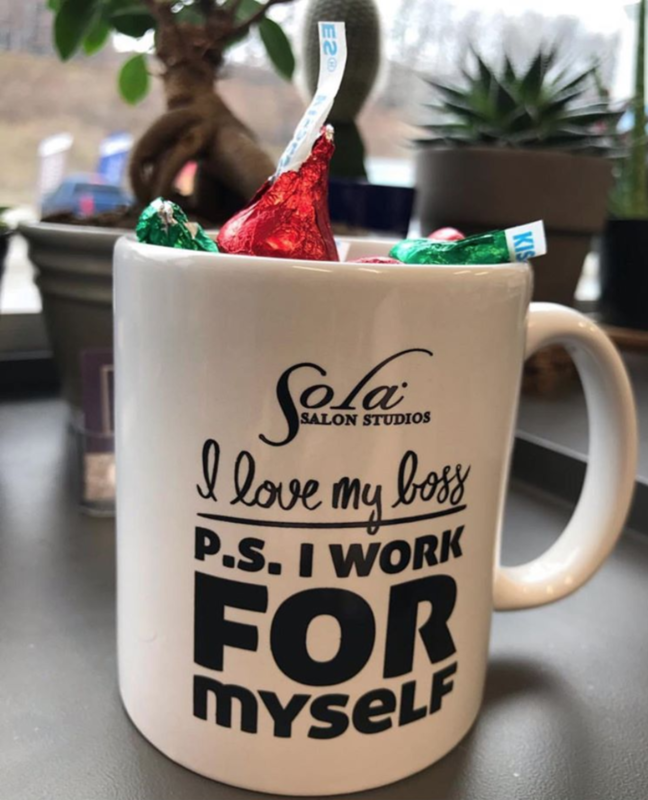 Whether it’s in person at one of the Sola Sessions or sending a direct message to one of the Faces of Sola on Instagram, connecting with your #SolaFam will make you feel even more supported and encouraged to keep growing in and out of your salon. 10. Be Your Own Boss: It’s easy to love your boss when you work for yourself. Need we say more? Own your salon and don’t just act #likeaboss, BE THE BOSS! May your New Year be filled with beautiful, new experiences and dreams that turn into plans. Here’s to endless possibilities in 2019!